Situated on 150 feet of brilliant white sand beach, the Bel Aire on the Ocean boasts glorious panoramic views over the Atlantic Ocean and Biscayne Bay. Located in the hot new North Beach, conveniently nestled between Bal Harbour and the bustle of South Beach, this 2004 building offers a premium beachfront lifestyle for a moderate price. Life at the Bel Aire includes a private health club and spa, oceanfront recreation area, heated pool overlooking the ocean, elegant porte-cochere entrance, 24 hour concierge, business center, and the beach just steps from the elevator. Residence interiors feature open kitchens with Italian cabinetry, stainless appliances, marble bathrooms, state of the art technology, and spacious balconies. BREATHTAKING PANORAMIC VIEWS OF OCEAN & CITY FROM THIS FURNISHED PENTHOUSE UNIT IN HIGHLY DESIRABLE 06 LINE (FACING THE PARK). OFFERS 12 CEILINGS & FLOOR TO CEILING IMPACT GLASS WINDOWS & SLIDING DOORS TO ENJOY THE STUNNING SUNRISE & SIUNSET VIEWS. LARGE BALCONY, EXTENSIVE UPGRADES INCL. EXPANDED BEDROOM, UPGRADED BR, NEWLY POLISHED MARBLE FLOORS, 1 YR OLD A/C UNIT, NEW WASHER/DRYER IN THE UNIT, S/S APPLIANCES. AMENITIES INCLUDE 24/7 SECURITY/LOBBY ATTENDANT, HEATED POOL, JACUZZI, FITNESS CENTER, BRAND NEW BBQ AREA, VALET SERVICE OR SELF PARK, BIKE STORAGE, BILLIARD ROOM. STEPS FROM THE OCEAN. CONVENIENT LOCATION, WALK TO SHOPPING & FINE RESTAURANTS, NEW PUBLIX, 24/7 WALGREENS. EASY TO SHOW. GREAT OPPORTUNITY..........REDUCED............REDUCED...............SPECTACULAR REMODELED OCEAN FRONT CONDO AT BEL-AIRE IN MIAMI BEACH. THIS UNIT FEATURES 1 BEDROOM AND 1 1/2 BATHROOMS IN GREAT CONDITION, MARBLE FLOORS, ALL MODERN FURNITURE INCLUDED. YOU CAN RENT FOR ALL YEAR OR SEASONAL. EASY TO SHOW, CALL LISTING AGENT. 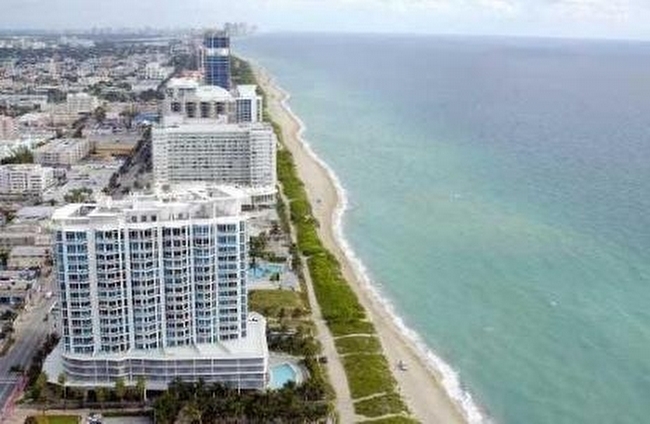 BEL AIRE ON THE OCEAN CONDO WITH BEAUTIFUL OCEAN VIEWS offering fabulous oceanfront living. Large 1/1.5 unit. Marble floors throughout, stainless steel appliances, washer/dryer in unit, deeded gated parking space, and valet service. Flexible 12 X a year, 30 day minimum rental policy, great for investors. Pet friendly building. heated pool, jacuzzi, fitness center, built in BBQ by pool, 24/7 security MOTIVATED SELLER - easy to show! Great location, walking distance to shopping, fine restaurants, banks, post office, pharmacy, oceanfront path 2 steps from building, 20 minutes from airports, bike and surf board storage areas for the active athletes! Great investment opportunity! Make this yours! Enjoy this COMPLETELY REMODELED unit at Bel-Aire on the Ocean, located right on the Beach!Beautiful views of the ocean and the city. 1 Large Bedroom, 1.5 remodeled Bathrooms, Large Balcony, Walk-in closet, New Stainless Steel Appliances, New Quartz Counter tops, Luxury new faucets.Great Amenities: Gym, Barbecue, amazing Pool, DIRECT ACCESS TO THE WORLD FAMOUS MIAMI BEACH!Live in the Quiet side of Miami Beach! 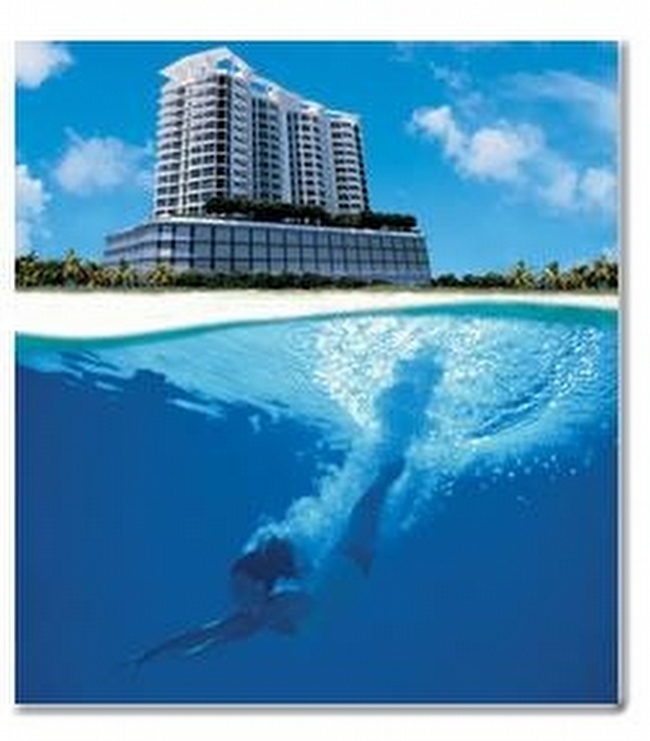 10 min to South Beach and 10 min to Bal Harbor Shops!MOVE-IN READY!BEST PRICE for REMODELED UNIT! Amazing 1 bed 1.5 bath with sprawling private patio in the beautiful beachfront Bel-Air on the Ocean. Step into this bright and modern oceanside retreat. Upgraded kitchen features oversized quartz countertop, solid wood cabinets with ample storage and s/s appliances. Spacious master includes walk-in closet, linen closet and en suite bath. While enjoying sunrises & sunsets, dine al fresco in the ocean breeze on the massive lanai that offers unlimited options for entertaining or relaxing. Amenities include gleaming pool & spa, custom built-in BBQ & full summer kitchen, gym, conference room, billiards room & 24-hour concierge. Unit comes with 2 parking spaces. Big dogs welcome with no size or weight restrictions. Ideal for investors - 30 day rentals permitted. Schedule your viewing today! STUNNING BEL AIRE ON THE OCEAN 1/1.5 CONDO OFFERING BREATHTAKING BEAUTIFUL VIEWS OF CITY AND OCEAN FROM HIGH FLOOR TO CEILING GLASS WINDOWS AND DOORS, KITCHEN EQUIPPED WITH STAINLESS STEEL APPLIANCES, WASHER/DRYER IN UNIT. MARBLE FLOORS THROUGHOUT. AMENITIES INCLUDE FITNESS CENTER, HEATED POOL, JACUZZI, BUILT IN OUTDOOR BBQ GRILL AREA, GAME ROOM, MEETING ROOM, 24/7 SECURITY, VALET SERVICE OR SELF PARKING. CABLE/WIFI INCLUDED IN MAINTENANCE, BIKE AND SURF BOARD STORAGE, WALK TO SHOPPING AND FINE RESTAURANTS, NEW PUBLIX, 24/7 WALGREENS, STEPS TO AN EASY ACCESS TO A WALKING AND BIKING PATH ALONG THE ATLANTIC OCEAN STARTS AT 79TH STREET DOWN TO MID BEACH AND BEYOND. TENANT OCCUPIED, NEGOTIABLE TO STAY OR LEAVE DEPENDING ON NEW INVESTOR. 12 X PER YEAR RENTALS OK, PET FRIENDLY BUILDING. Absolutely stunning Bel-Aire Beach Condo! This freshly painted 1/1.5 features breathtaking beach and city views, his and hers walk-in closets, open kitchen with high end stainless steel appliances and large balcony. Fully tiled throughout and washer and dryer inside unit. 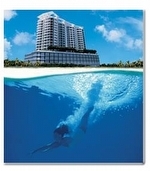 Bel-Aire condo offers such amenities as pool, gym, 24 hour security and direct beach access. Easy to show! Built in 2004 the Bel-Aire is one of Miami Beach's most sought-after beachfront condos and embodies prime Miami Beach living. Enjoy South Florida's perfect days while walking to restaurants, boutiques and Miami Beach's many well known attractions. Spectacular ocean views, and all the amenities you could ask for include 24hr security, gym, club room, pool and poolside grill and all are steps from the serene, gorgeous beachfront. The pristine unit is finished with marble flooring, contemporary kitchen and floor to ceiling glass exposing perfect ocean views. Brand new! Rarely available preferred 03 line on a high floor with direct oceanfront views from every room. Totally updated home in the sky. New flooring, new carpeting, doors, closets, hardware and baths. Spectacular views of Miami Skyline from unobstructed southerly views as well. Impeccable, immaculate, and easy to show! Gorgeous panoramic ocean and intercostal views!! 2 bedrooms/ 2 baths, fully furnished, marble floors, professionaly decorated 2 large balconies with ocean and city views. All marble floors throughout,open kitchen design with stainless appliances,nice window coverings,public parking lot next door for easy guest parking.Excelent neighborhood restaurants that offer beach service, quiet beach, boardwalk, minutes to south beach. 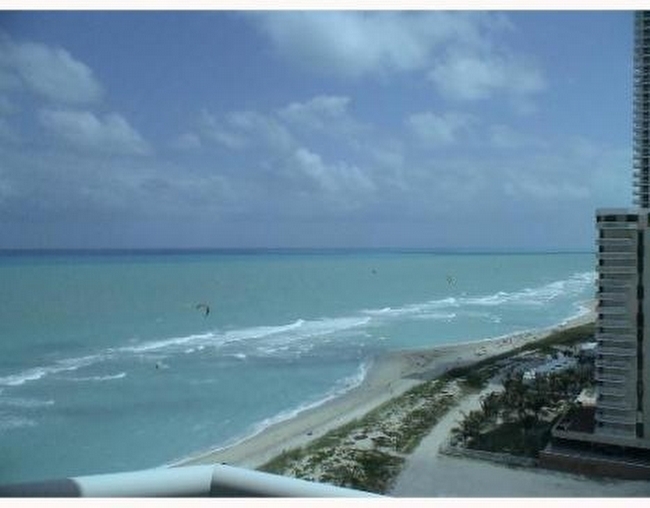 BEAUTIFUL 1/2 FURNISHED CONDO WITH LARGE LANAI DIRECTLY OVERLOOKING THE ATLANTIC OCEAN. Available during October to April seasonal rental. CONDO OFFERS GORGEOUS VIEWS OF CITY AND OCEAN FROM HIGH FLOOR TO CEILING GLASS WINDOWS AND DOORS. MODERN CONTEMPORARILY FURNISHED, KITCHEN EQUIPPED WITH STAINLESS STEEL APPLIANCES, WASHER/DRYER IN UNIT. TRAVERTINE FLOORS THROUGHOUT. AMENITIES INCLUDE FITNESS CENTER, HEATED POOL, JACUZZI, BUILT IN OUTDOOR GRILL AREA, GAME ROOM, MEETING ROOM, 24/7 SECURITY, VALET SERVICE OR SELF PARKING. CABLE/WIFI INCLUDED IN RENT, BIKE AND SURF BOARD STORAGE, WALK TO SHOPPING AND FINE RESTAURANTS, NEW PUBLIX, 24/7 WALGREENS, EASY ACCESS RIGHT OUTSIDE THE BACK DOOR TO A WALKING AND BIKING PATH ALONG THE ATLANTIC OCEAN FROM 79TH STREET TO MID BEACH AND BEYOND. Enjoy living on the Atlantic Ocean with spectacular sunrises & sunsets. Bask in the sunshine and sink your toes into the sand during your early morning walks along the beach. Sip cocktails on your oversized terrace with vistas of the ocean and the park. High-end finishes with marble flooring throughout. This boutique building offers the best in amenities:Direct beach access, heated pool, gas grill, game room with pool table, fitness center, 24-hr security, pet friendly & short-term rental policy allows 12 rentals per year (minimum 30 day leases). 1 assigned garage parking space with additional valet parking available. Beautifully partially furnished unit ready for immediate occupancy. Yearly leases preferred. The building is oceanfront and features many amenities including valet parking, gym, security, pool and more. Enjoy the ocean breeze and city views from your private balcony. Inside the kitchen is fully equipped including stainless steel appliances and granite counter top. Also washer and dryer inside the unit. Don't miss this great opportunity to live the beach life in the luxurious well-located Bel Air on the Ocean building! Luxurious furnished one bedroom home at Belaire on the Ocean with spectacular ocean views , fully renovated, washer and dryer in the unit. Close to Restaurants, publix, banks, coffee shops. Minimum six months rental. Immaculately furnished direct oceanfront 2 bedroom 2 bath home with endless water views. Furnished in high style, fully stocked and in impeccable condition. Two assigned parking spaces. Walking distance to great restaurants, Publix, 24 hour Walgreens. 5 minutes from Bal Harbour Shops and South Beach. Stunning and Pristine. STEPS TO SAND AND OCEAN 2/2 FURNISHED CONDO LOCATED IN PRIME NORTH BEACH AREA. UNIT FEATURES A UNIQUE LARGE WRAP AROUND TERRACE FOR OUTDOOR LIVING AND ENTERTAINING, PET FRIENDLY. BATHED IN WARM NATURAL LIGHT, OFFERING VIEWS OF CITY AND OCEAN FROM FLOOR TO HIGH CEILING GLASS WINDOWS AND SLIDING DOORS, MODERN UNIT APPOINTED WITH STAINLESS STEEL APPLIANCES, WASHER/DRYER IN UNIT. POLISHED TRAVERTINE FLOORS THROUGHOUT. AMENITIES INCLUDE FITNESS CENTER, HEATED POOL, JACUZZI, BUILT IN OUTDOOR GRILL AREA, GAME ROOM, MEETING ROOM, 24/7 SECURITY, VALET SERVICE OR SELF PARKING. CABLE/WIFI INCLUDED IN RENT, BIKE AND SURF BOARD STORAGE, WALK TO SHOPPING AND FINE RESTAURANTS, NEW PUBLIX, 24/7 WALGREENS, EASY ACCESS TO ENJOY A WALK OR BIKING ALONG A BEAUTIFUL PATH BY THE OCEAN FROM NORTH TO SOUTH BEACH. Available 11/01. Amazing panoramic unobstructed ocean views from this 2BD/ 2BA, fully furnished just bring your clothes, exquisitely decorated. Great neighborhood restaurants that offer beach service, quiet beach, boardwalk, minutes to South beach, Bal Harbor, Edgewater, Design district, mid-town, Wynwood, Split floor plan, everything brand new, the best of the best! New Gym walk or bike everywhere, state of the art Publix, lovely parks, lowest price for best line in the building! This neighborhood of Miami Beach is undergoing an amazing change, due to some ultra uber luxurious buildings newly constructed very recently. Hurry will not last!!! Property to be shown after February 18, 2019. STUNNING PANORAMIC DIRECT OCEAN VIEWS from this Bel Aire on the Ocean 2 bedroom/2 bath luxury corner unit. Two oversized wrap-around balconies with exceptional views of the Atlantic Coastline. Wall to wall-floor to ceiling windows. Upgraded finishes including gorgeous limestone floors. Stainless steel appliances. We invite you to view the contemporary beautifully appointed modern furnishings. Full service 24/7 doorman building. Two parking spaces and valet parking for guests. Complimentary Cable & Wifi. Fitness Center. Bike and Surf Board storage areas. Ocean side pool, jacuzzi, and BBQ. Walk to Publix, fine dining, shops, movie theatre, close to South Beach and minutes from Bal Harbour Shops. Easy to show! 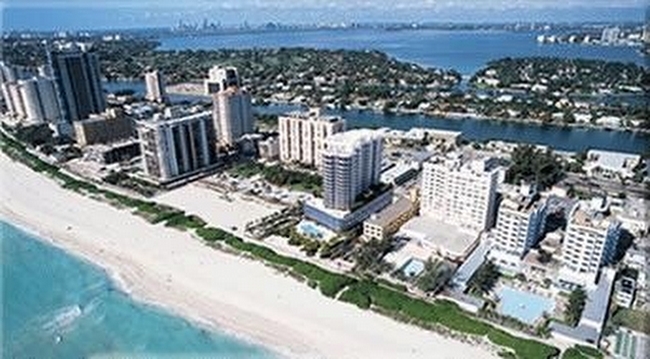 ANOTHER SALE BY CATHERINE RODSTEIN ON THE SUNSET ISLANDS IN MIAMI BEACH!